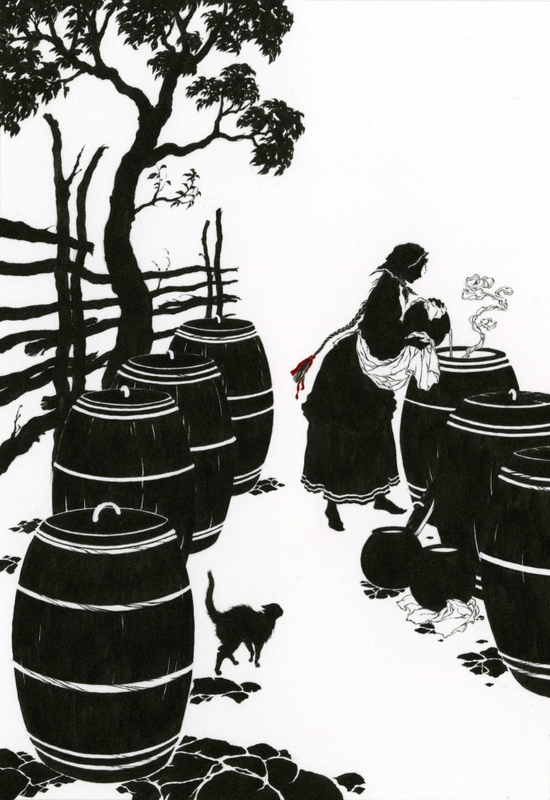 ‘She boiled water and poured it into the barrels, thus scalding the six robbers to death.’ Illustration for The Wise Maiden and the Seven Robbers, from Myths and Legends of Russia, collected by Aleksandr Afanas’ev and translated by Norbert Guterman; published by The Folio Society, 2009. Ink and gouache on Arches hot pressed. In honour of International Women’s Day. 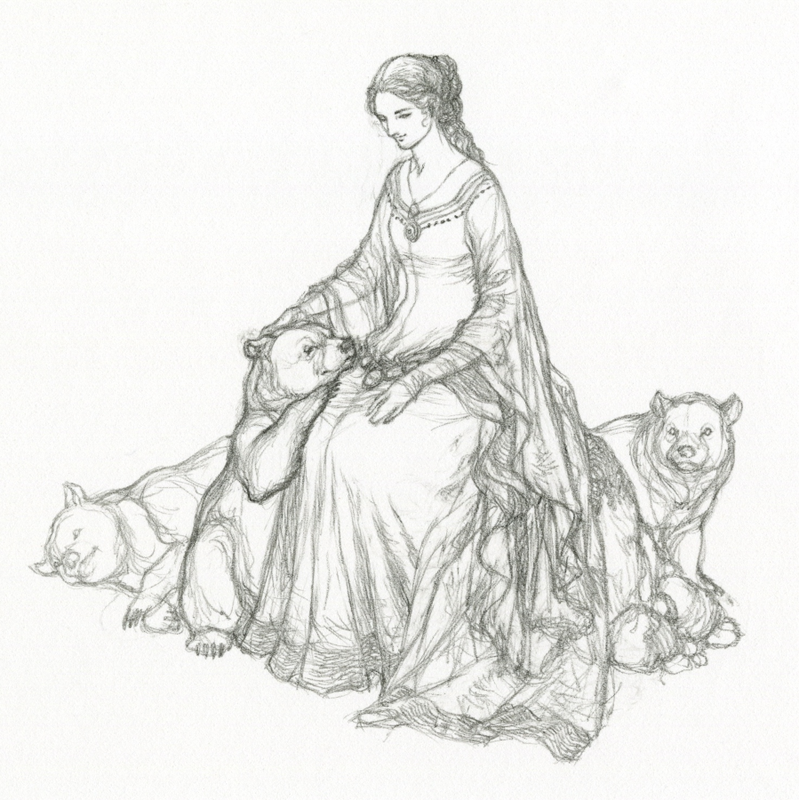 Do you notice how frequently a woman’s quick wit and resourcefulness triumphs in folk and fairy tales? 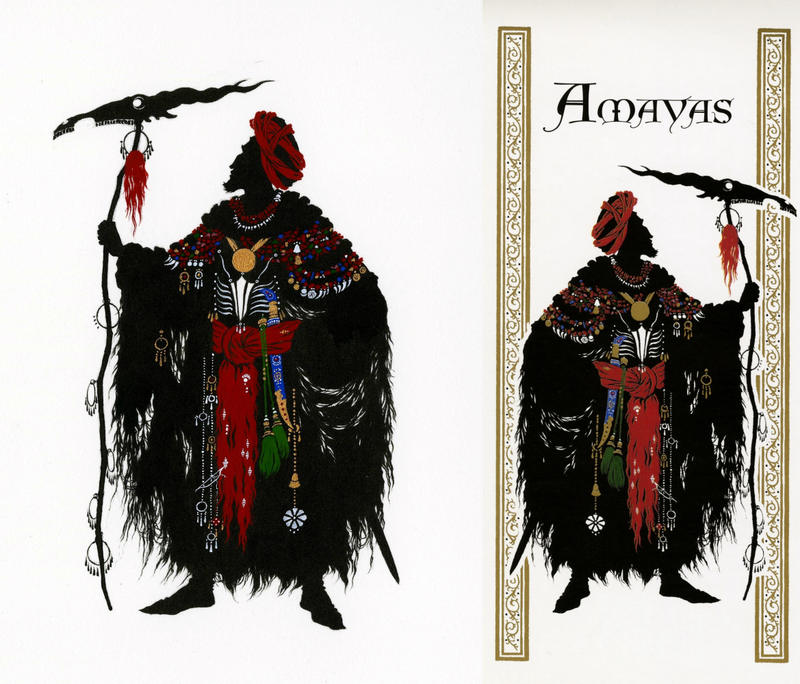 Like Morgiana, the wise maiden in this Russian variant of the Ali Baba story from the Thousand and One Nights saves her household from the clutches of murderous thieves. 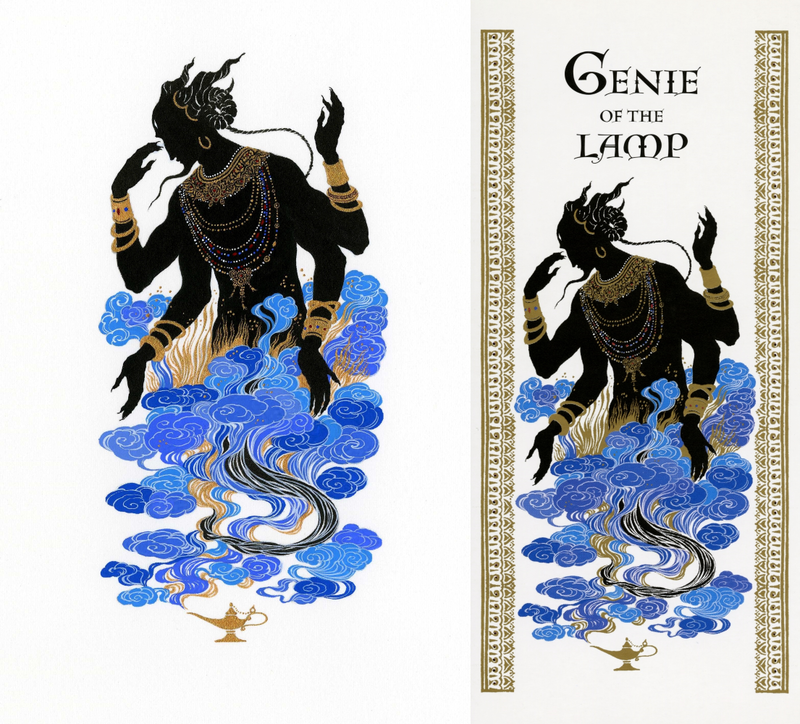 The Genie of the Lamp. Ink and gouache. Original artwork on the left, together with the panel as it appears in the book. The border motif was also originally painted by hand in one section and was then stitched together digitally by the designer. 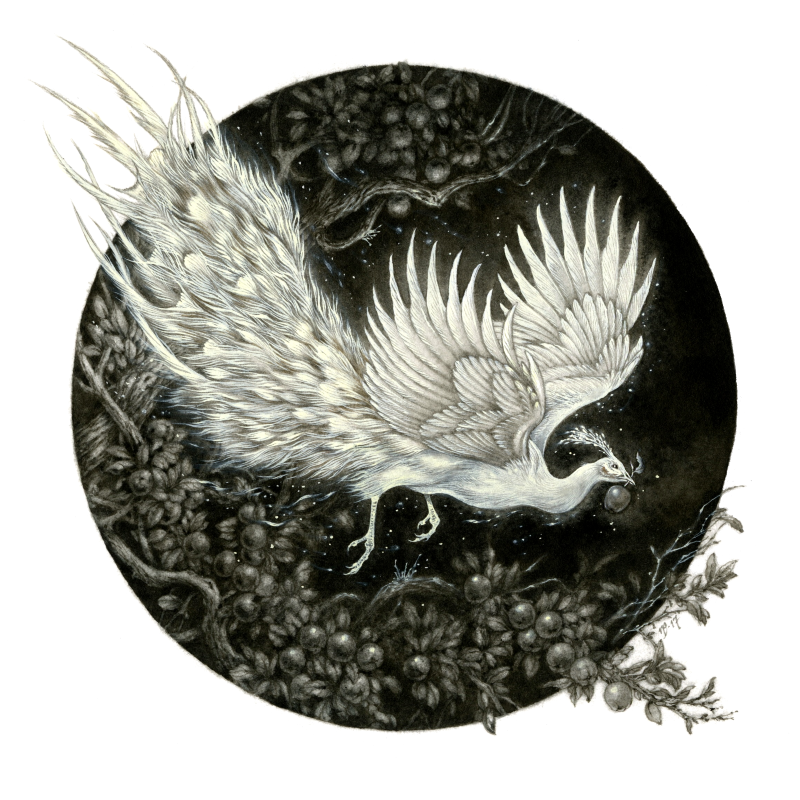 Illustration for Aladdin, Walker Books, 2011. Less kindly-looking than the Ring Genie, the multiple horns and arms were my attempts at combining a wilder appearance with something more akin to a deity for the Genie of the Lamp, whose powers are of course far stronger also. The design of his ‘collar’ borrows rather freely from Southeast Asian ornamental art. 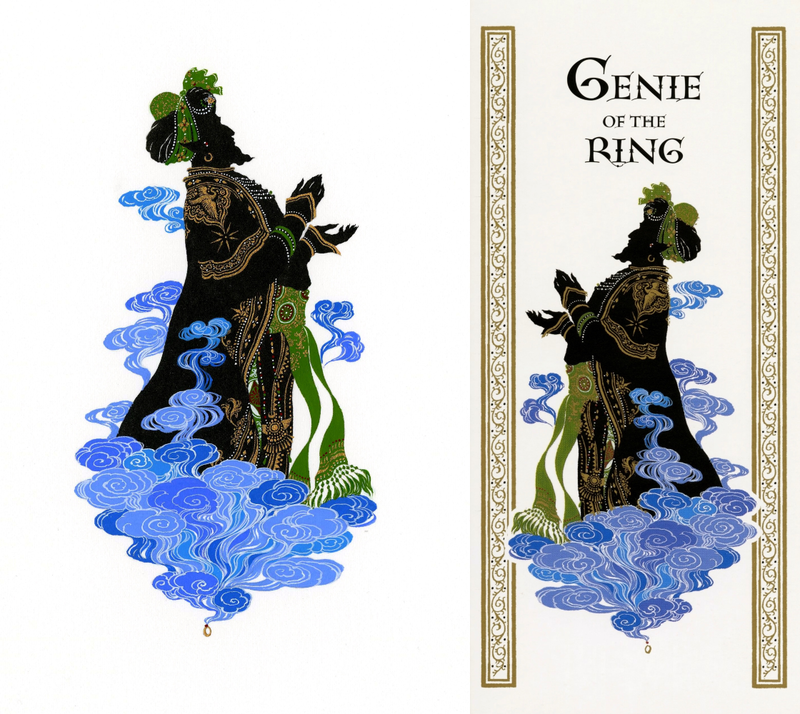 The Genie of the Ring. Ink and gouache. Original artwork on the left, together with the panel as it appears in the book. The border motif was also originally painted by hand in one section and was then stitched together digitally by the designer. 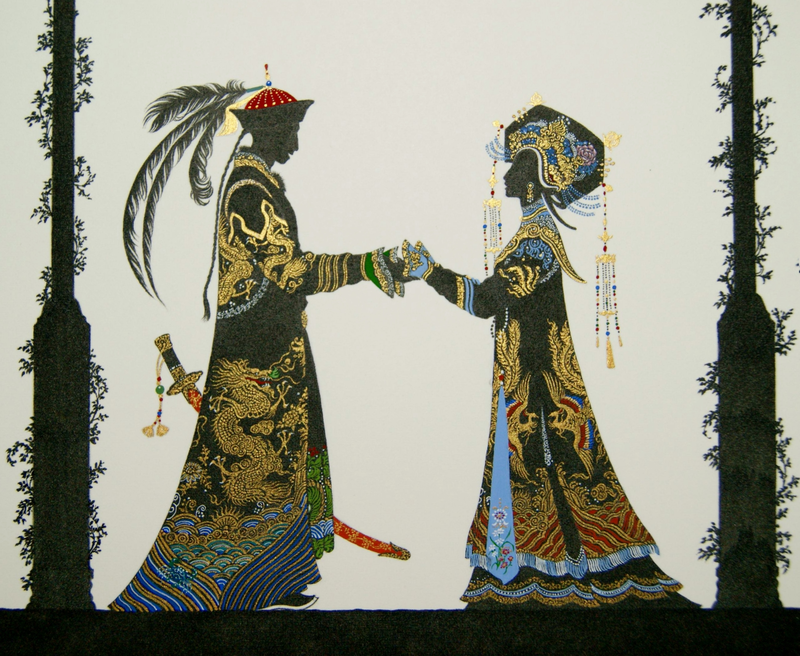 Illustration for Aladdin, Walker Books, 2011. Let us return to Aladdin for another late ‘Throwback Thursday’, shall we? Jingle Bells is now published, though I’m realising to my embarrassment that I failed to mention that at all here, even though I did so on my Facebook page and have been sharing pictures of copies of the book in stores. There will be more on this as I embark on a Vanity Tour of the independent bookshops in London which have taken on the Jingle Bells window display. But with that flurry of promotion in mind, I wanted to return again to this favourite of mine. Not Christmas-related, though nevertheless somewhat appropriately festive in its own right. I wanted the Genie of the Ring, who first appeared out of the ring which the magician had given Aladdin when he entered the cave, to look markedly different from the Lamp Genie: more benevolent and less intimidating. His costume is mostly Persian with some Ottoman elements. The illustration was flipped for the panel in the end as it worked best with he and the magician facing each other at opposite ends of the book spread.